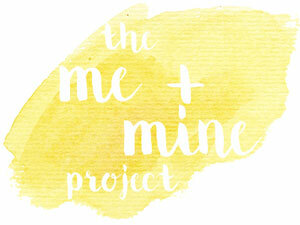 Welcome to Me and Mine June! Half way through the year! How has that happened so quickly, I swear it goes quicker as you get older! We’ve had some lovely days out in the sunshine, I really wish this was what the UK weather was like every summer as it’s so nice. Perfect for getting outside and having more fun, everyone loves the sunshine and feels much happier for it. 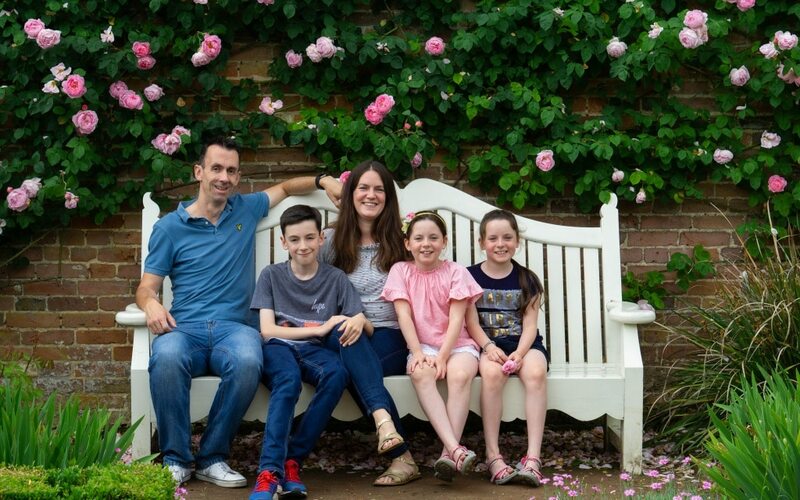 We’ve enjoyed a stunning visit to Mottisfont Rose Garden where I could have stayed there all day taking photos! The girls have had lots of school things going on, including transition day to spend some time with their new teachers. They both love them and can’t wait to year 5. Year 5 at their school is so much fun with lots of activities to do, so they can’t wait! This lovely weather would also would mean we could book a UK holiday and not have to worry about the weather! Like we did with Center Parcs last weekend! We had a lovely long weekend having pure family fun with the kids. Time away from the house, housework, work and DIY jobs. It was well needed and so nice to be able to enjoy this with the children. I was in so much pain on our last family holiday that this holiday was so nice to do with them. I am still suffering pain and I am not very strong but I was able to join in with them, just a bit slower and taking lots of breaks. 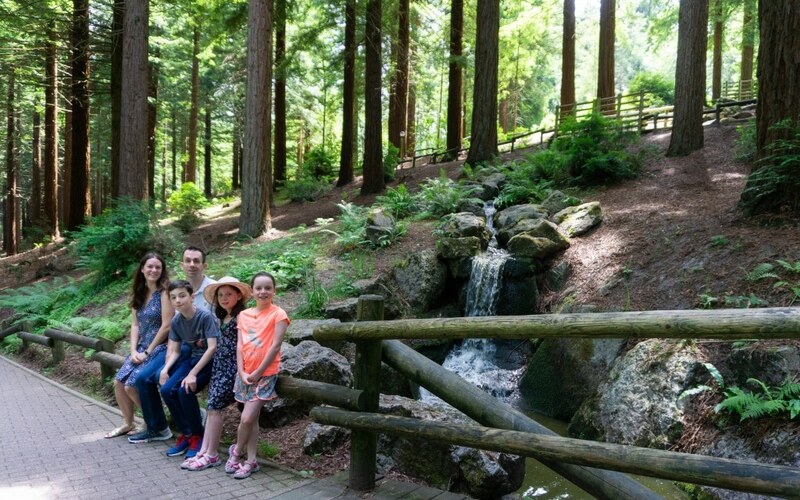 We visited Center Parcs Longleat as we visited the Sherwood Forest one 3 years ago but it took us 7 hours to get there due to traffic and we didn’t even leave the site in 7 days! So we decided what was the point of travelling that much when we have one 1hr 15 minutes away! 3 years ago we didn’t know what Center Parcs was like, Kev and his Mum who came with us live about 15 minutes away from Longleat so didn’t want to spend all that money to go down the road! How wrong were we, Longleat one is amazing and we had such a lovely time. As you can see from the photo above its such a pretty place, set is 400 acres of woodland it really is so peaceful. Of course it isn’t peaceful in the sub-tropical pool though!! 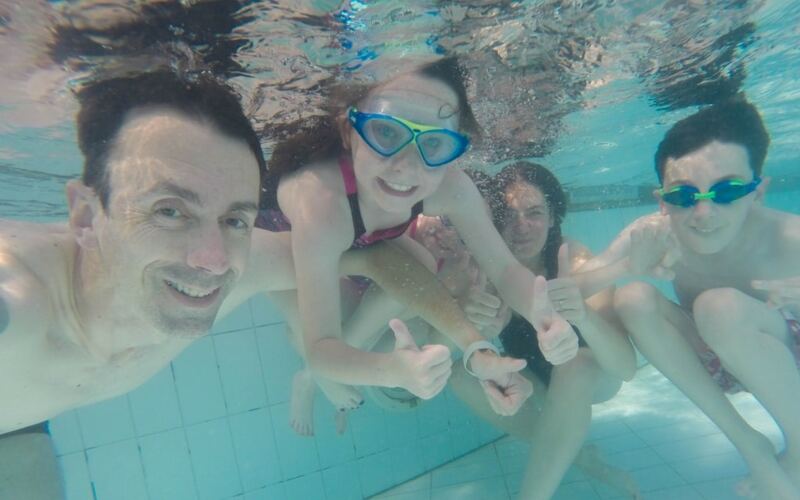 The kids love this place, flumes, slides, rapids, wave machine and a play area in the pool. It’s just perfect for kids. Kev enjoyed going down all the slides, I think the drop slide was his favourite!! 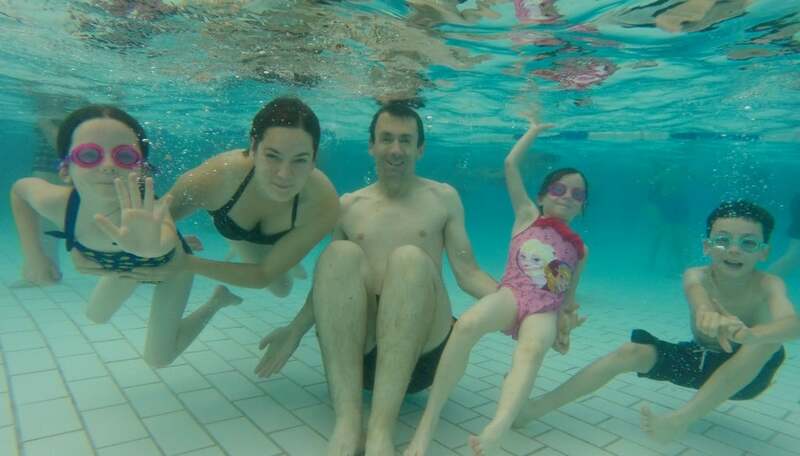 This was out attempt at an under water Me and Mine picture…….!!! Not as good as the one 3 years ago but Nana did take that one so not as close!! 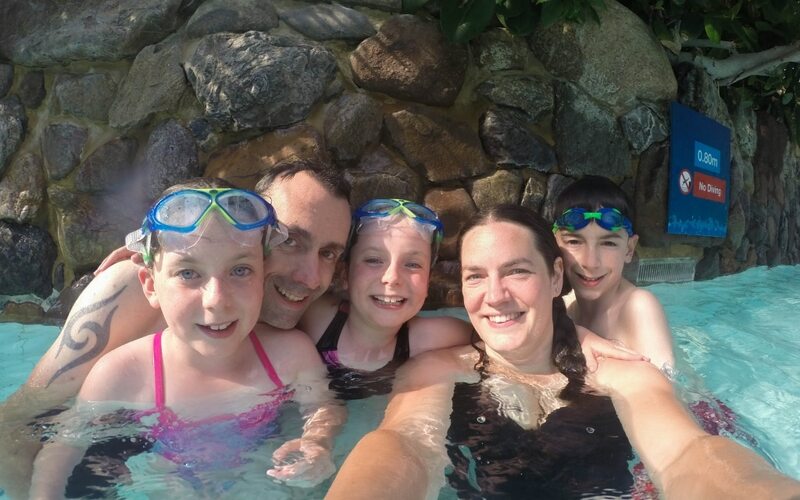 I would happily visit Center Parcs again for a holiday, we made some fantastic memories with the kids. Lovely photos, and I agree it is flying by isn’t it?